Five days and a wake up........We are almost there. Are you ready? Can’t believe how quickly this month is going by! I don’t bow hunt much anymore but I know a bunch of people who do and it’s still an exciting day for me. I love getting the success pictures from everyone. Every now and then I’ll feel a longing back to my bow hunting days and think about picking up my old Bear Ausable longbow to sling a few arrows. I don’t even have a target anymore. I did shoot it a couple weeks ago at some old blankets that I doubled over on a long to make a target. Felt pretty good. The last few years I’ve taken advantage of Landowner rifle season and deer hunted the first 10 days of November until duck season opens back up. That first 10 days is a nice window to get into the deer woods and not feel like I’d rather be sitting on a swamp with a spread of decoys out. However, now that Sunday bow hunting will be open statewide I’m really considering getting back into practicing more and perhaps hitting the bow woods again if that proficiency comes back in my shooting. Waterfowl on Saturdays. Bow hunt on Sunday mornings. Anyways, I hope lots of hunters are able to hit the woods next Saturday for a safe and successful opening day. Can’t wait to read some success stories. Good luck to all! I had to put my shooting off for the last couple weeks due to my eye of all things. I was shooting well but need a bit more practice. With work two weeks behind, something has to give. I may not bow hunt until I return from the moose trip. We'll see. It'll be hard to stay out of the woods. 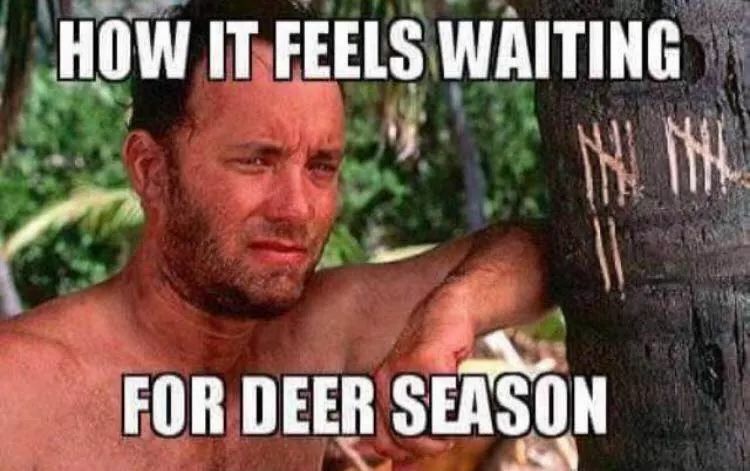 I'll be bow hunting most Sunday's. I got a couple big ones in my back yard. Checked and updated trail cams. Stands are up. Home made blocks were put out. Gear for Sat AM selected and washed. Permethrin will be put on tonight. Hitting bulls eyes no problem at 30 yds. Few things left to do: set up the pack and make a couple of more blocks (assuming the deer liked my recipe). Sat AM I'll go out early and figure I'll stay till 9ish or I connect, whichever comes first. Evening hunt will be with the little one for probably like an hour. Got turkey tags this year so I'm sure I won't see any turkey! Best of luck out there fellas!!! despite the rain, the weather is looking good the end of next week. dropping down into the low 50's. I got a new piece a few years ago. good deer on it with one 10pnt. going try a horizontal rubbing post this year.